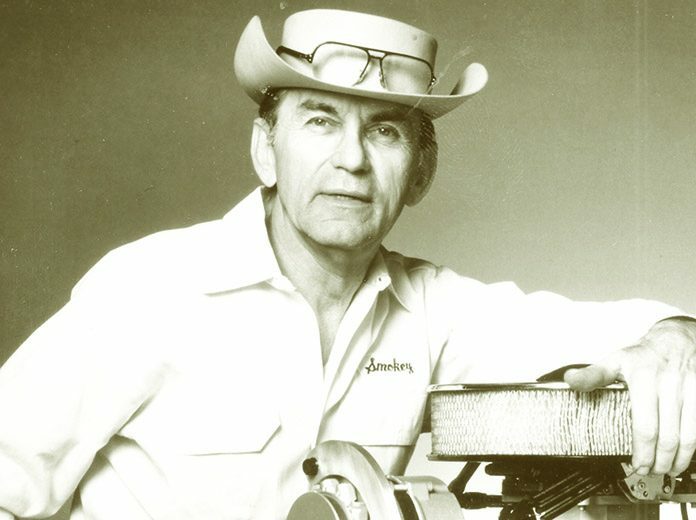 Henry “Smokey” Yunick did not hold an engineering degree from a major university. Truth be told, he didn’t need one and could have taught scholars of numerical equations common-sense approaches to problem solving. He was incredibly gifted as a designer and was known for pushing the envelope with ideas others never imagined. Yunick was one of motorsports’ most storied icons, right down to his ever-present white uniform, well-worn trademark flat-top cowboy hats and pipes of tobacco throughout decades of NASCAR and open-wheel competition. 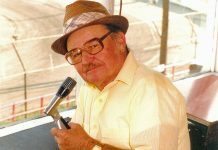 He was also known for his rough, no-nonsense demeanor and strong opinions about racing and about life. At times he smiled easily, looking for adventure one day at a time before losing his battle with leukemia on May 9, 2001, at the age of 77. Parts of Yunick’s life remain mysterious. He often stated he was born on May 25, 1923, somewhere near Maryville, Tenn., but never really knew the correct birthdate, as his birth certificate was reportedly faked to help get him into the military. Yunick, who was known as Harry and Gregory but settled on Henry, was the son of Ukrainian immigrants John and Lena Yunick. His father died when he was young and when money got tight during his teenage years, he dropped out of school in the 10th grade to support his mother and younger sister. While growing up on a farm in Neshaminy, Pa., near Philadelphia, Yunick stumbled upon motorcycle racing at Langhorne (Pa.) Speedway when he was 16. He gained his nickname while piloting a cycle with a smoking engine. When a fellow competitor couldn’t remember his name was Henry, he tagged him “Smokey,” and it remained with him throughout his life. Before World War II, Yunick began working for the inventor of the Autogyro, the forerunner to the helicopter. In 1941, Yunick became a B-17 pilot in the Army Air Corps, a place where he also excelled as a mechanic. He became a highly decorated pilot, flying bombing missions in Africa, Europe, Indochina, Burma, the Philippines and Okinawa. While working as a test pilot for eight-hour stretches, Yunick flew over Daytona Beach, Fla., and loved the area. After leaving the service, Yunick moved there in 1946 and opened his famed “Best Damn Garage in Town” in 1947. It remained open until 1987 when Yunick closed it “because of the lack of good mechanics.” Sadly, the iconic landmark caught fire on April 25, 2011, and was destroyed. Men returning from the war longed for action and excitement. Hearing the exploits of racers setting speed records on the nearby beach, Yunick became interested in motorsports. Local driver Marshall Teague heard of Yunick’s exceptional talent. They took a black Lincoln to the inaugural Southern 500 at Darlington (S.C.) Raceway in September 1950, but the car was heavy and didn’t fare well. That prompted a deal for 1951 with Hudson Motor Co., which had a uniquely designed car with emphasis on its smooth ride. Teague won seven times with the “Fabulous Hudson Hornet” in 1951 and ’52. In February 1959, Teague lost his life while testing an open-wheel car at Daytona Int’l Speedway. A second Hudson Hornet was driven by Herb Thomas. With Yunick working as his chief mechanic, Thomas won NASCAR’s premier series championship in 1951 and ’53. They teamed to record 43 of Thomas’ 48 NASCAR victories before his retirement in 1962. 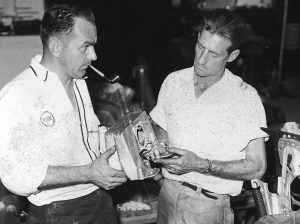 Over the years, Yunick teamed with many of NASCAR’s legendary drivers, including Tim Flock, Paul Goldsmith, Fireball Roberts, Junior Johnson, Buck Baker and Curtis Turner. Yunick turned wrenches on Chevrolets in 1955 and ’56 with Flock and hooked up with Goldsmith in Fords in 1957-’58. Pontiac was his car of choice in 1962, taking on Roberts and Marvin Panch as his drivers. 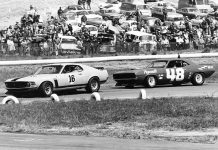 From 1963 through ’68, Banjo Matthews, Bobby Isaac and Darel Dieringer wheeled his cars. He won nine races as a team owner and 22 as a crew chief. From 1958 through 1975, Yunick made 10 trips to the Indianapolis 500. He unveiled some of his best innovations there, such as the legendary Reverse Torque Special in 1959 with an engine running in opposite rotation. He came back to Indy as part of the winning effort with driver Jim Rathmann in 1960. In 1962, Yunick created a wing for Rathmann’s car that created front downforce, but it was banned by USAC officials prior to the race. There was also the Hurst Floor Shifter Special, a car with the driver’s capsule mounted perilously to one side in 1964. As a result of Roberts’ death on July 2, 1964, due a fiery crash at Charlotte Motor Speedway while in a Holman Moody Ford, Yunick began working on safety innovations to protect drivers. 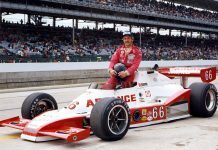 The same day as Roberts’ crash, Yunick saw Dave McDonald and Eddie Sachs die in a fiery crash during the Indianapolis 500. Ben White began writing motorsports articles for the Lexington (N.C.) Dispatch in 1983. From 1989 to 2010, he worked in various roles for NASCAR Scene and NASCAR Illustrated. He joined SPEED SPORT Magazine in 2014.